There are lots of perks to doing what I do as an indie writer, but undeniably, one of the best is having the opportunity to review games and get to know their developers. 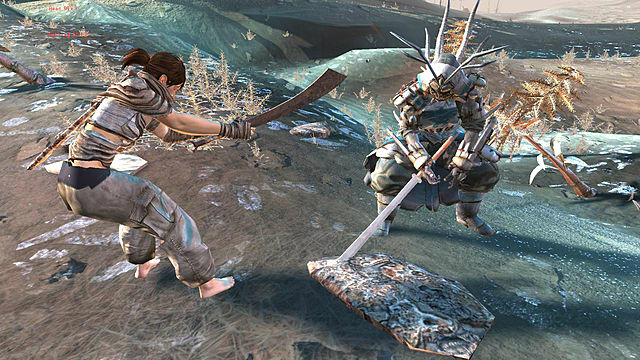 One such game which has popped up on my radar is a game called Kenshi. 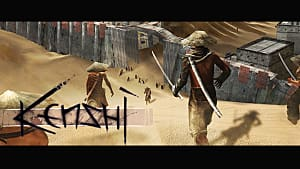 Developed by UK-based developers, Lo-Fi Games Ltd., Kenshi is an open-world, sandbox, squad based, RPG, PC game which is set in a rocky, unforgiving landscape where all you have to do is survive. I recently caught up with the CEO of Lo-Fi Games, Chris Hunt, to talk about developing the game and the difficulties of going from a "one-man show" to working as a team. ESpalding: Welcome, Chris. Many thanks for giving me the opportunity to talk to you. Could you start by giving our readers a little brief about your studio and a little introduction to your game? Chris Hunt: We're a small studio of 5 people and we've been working long-term on a sandbox RPG which I guess is somewhere halfway between Skyrim and Dwarf Fortress. 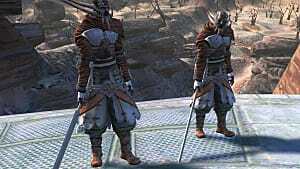 ES: So, how did the idea for Kenshi come about? Where you inspired by anything? CH: It was just the result of a lifetime of playing different games, and feeling itches that weren't getting scratched. I wanted to make the ultimate game, that scratches all the itches all together until your skin is bleeding but totally satisfied. ES: For quite a lot of the early development, you were a one-man team. How did it feel when the team you have now came together? CH: It took me a while to gradually release control of things, like our programmer Sam, would ask "what shall I work on next?" and everything I thought of I was like "No, I better do that myself, only I know how it works". But pretty quickly I got addicted to the feeling of other people doing some of my work for me. 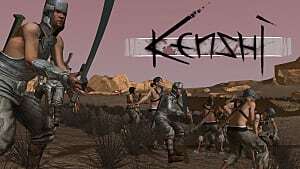 ES: Kenshi is a game which encompasses lots of different well-loved gameplay mechanics -- RPG, sandbox, working with squads, and RTS. Was it hard to work all these aspects to gel in the game and what was the hardest obstacle to overcome to do this? CH: Not really, for some reason I've always found it all just fit together naturally. The biggest problem is the sheer chaos of a simulated world. For instance, a single mercenary in a town, looking for a bar. 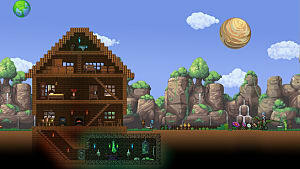 There was a tiny bug where they would sometimes pick a house instead of a bar, wander into this person’s house and sit down. Then the house owner freaks out at this intruder, attacks him, then the town guard gets involved, then the mercenary’s buddies get involved, and before you know it the whole town is having a civil war over a chair. Things like that. 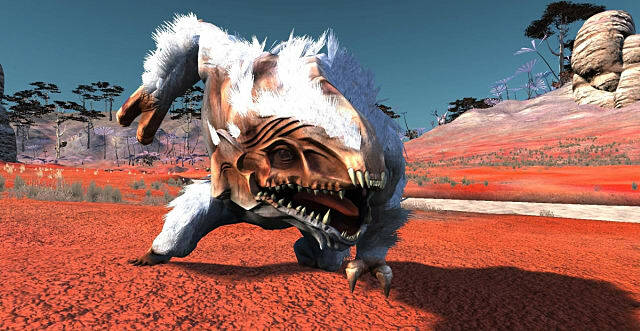 ES: The game is currently in Early Access, are there many things which still need ironing out? What are they and do you have a full release date in sight yet? CH: Just tons of general ironing. I'm also still filling up the rest of the map with towns and content. It's a really big map. Release is looming and not far off now, I’m not finalising anything yet but keep your ears peeled. ES: What seems to be the general reception to the game? What do players seem to like and dislike the most? CH: Reactions tend to be pretty strong, those that like the game REALLY like it and put hundreds and hundreds of hours into playing it. Others bounce off it straight away, usually because they were expecting something more traditional in design, with quests and rats. The most common reaction is to the balance. You start off very weak. 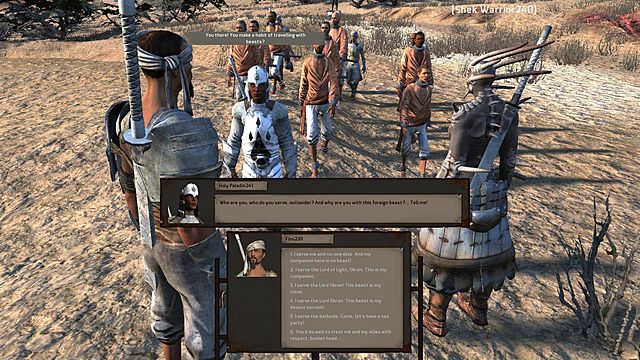 The first thing everybody does is run out of town and charge at a group of bandits, then get beaten up in a second. Most players are conditioned to expect to just run around killing everything, so this first event is always a shock to them, but for most people it's a pivotal moment where they stop and think, "ok, this game is different, I'm gonna have to change the way I think about this." This is the moment when a lot of players start to fall in love with the game, and you'll see this same event mentioned in both positive and negative reviews alike. And that's exactly what I want, it's tuned to a specific type of player and isn't for everyone. When someone tells me they stayed up all night playing Kenshi instead of sleeping or getting ready for work that's when I know it's a job well done. 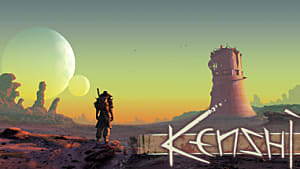 ES: Kenshi has been around for a while now and, being based in the UK, you must have seen much change in the indie dev arena in the UK. What would be the notable differences between then and now? Do you think it has changed much? CH: Not just the UK, but in general the industry has grown immensely. It's very crowded now. There's a lot more competition, and it's harder to get attention for a game. Over the years other alpha-funded games have gone under or been abandoned which has made players more distrustful, which puts more pressure on the rest of us. On the other hand, support has grown and it's a lot easier to make a game now as there are better engines available. 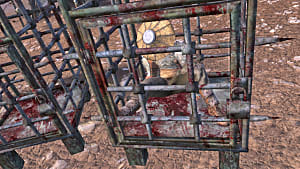 Back when I started Kenshi the only way to make a game was to learn C++ and cobble your own engine together out of parts. Now you can grab the Unreal engine and spend more time focusing on the gameplay and content and stuff that really matters. ES: As mentioned, you started off as a one-man team so you know the struggles which come with that and having a "day job" while trying to get a game off the ground. Do you have any advice to any readers who are sitting on their lonesome reading this and thinking about making games? CH: Apart from the technical knowledge it's not really any different from someone wanting to write a book or make a film project. You just need the motivation to work at it every day without getting bored. If you enjoy what you're doing you won't have a problem. I want to once again thank Chris Hunt for giving me the opportunity to chat to him about his latest game. 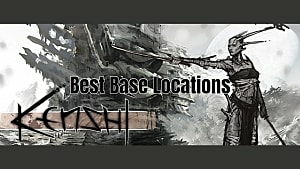 I would like to wish Chris all the best for Kenshi, and any future projects his studio had to come. 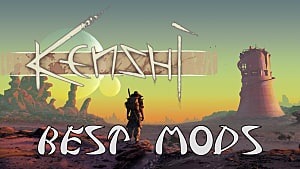 For anyone interested in seeing what Kenshi is all about, there is a downloadable demo on the developer's website. The game is expected to release at some point during Summer 2017.